Trena dropped this project on me last minute, with less than a month before the deadline to build it. That's okay, though! I work great under pressure. The season one gun is by far, in my opinion, the coolest gun of the entire show. It has so much character. 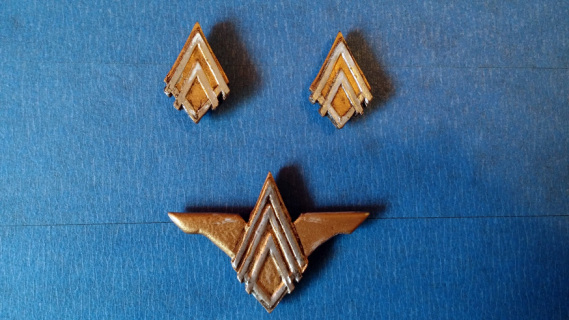 I was really happy with the results of the master and the resulting copies, and apparently I did a pretty good job, because the actual prop fabricator from the series (as well as notable productions such as Warehouse 13, Star Trek Into Darkness, and many other amazing shows) found me on Facebook to compliment me on my work! I'm embarrassed to note that I had no idea who he was at the beginning of our conversation. Talk about humbling and flattering. 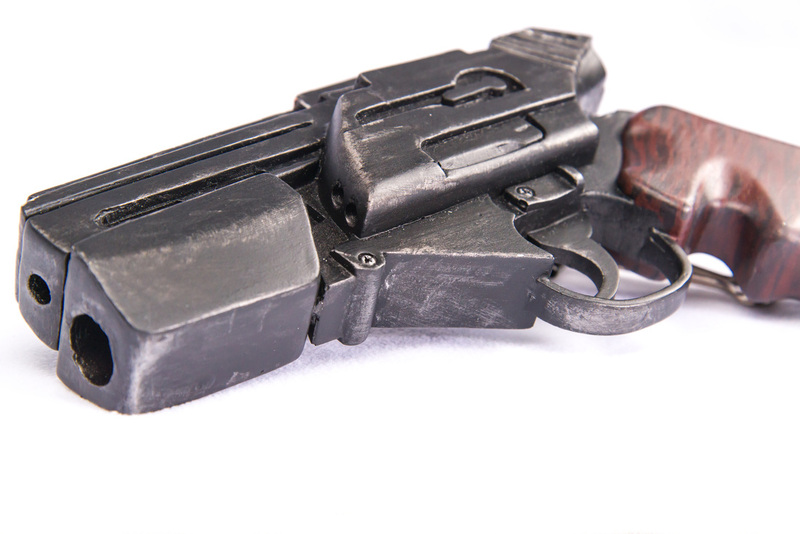 The master sculpt of the BSG gun was created layering 1/4" and 1/8" pvc foam. 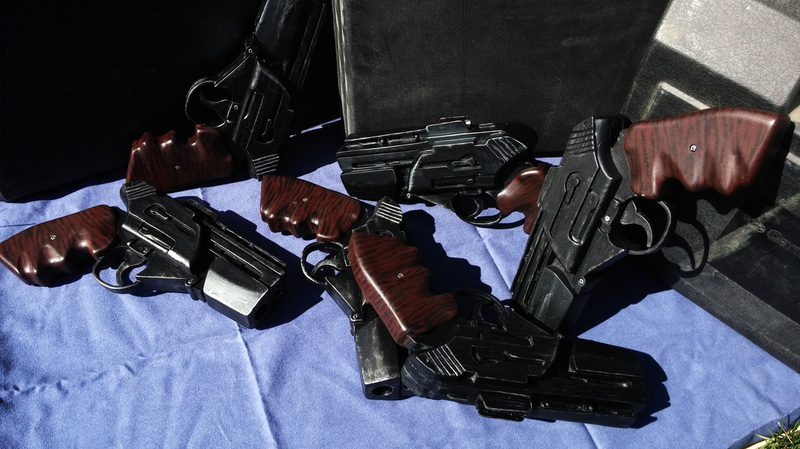 A silicone mold was made of the original, and all six guns were cast in Smooth Cast 320 polyurethane resin. This is an unpainted, solid, urethane plastic kit of the gun from season one of the new Battlestar Galactica series (2004). The trigger will need to be glued into place. Seam lines require sanding and light filling. This is a very easy project and should be quick to finish. Please allow up to two weeks for turn around. Color of the casting may vary from white, to gray, to black. 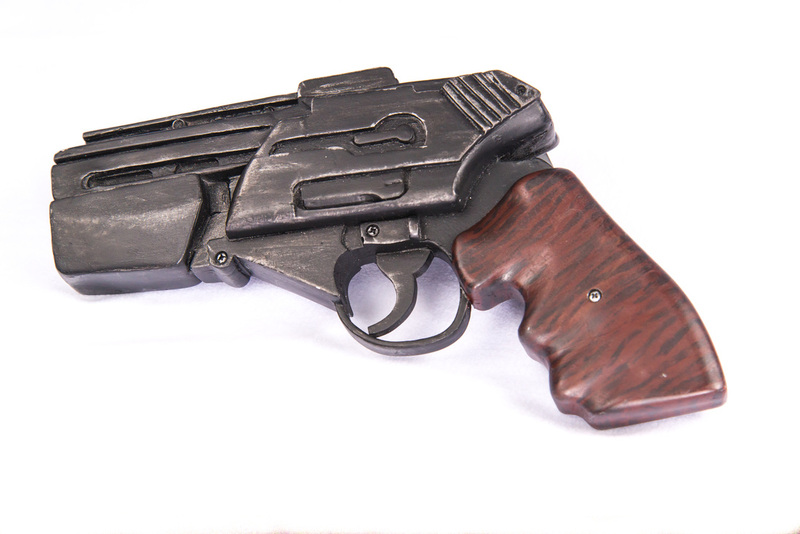 This is a fully completed gun from the first season of the 2004 Battlestar Galactica series. The casting is solid polyurethane resin, and the kit has been fully assembly, painted, and finished. 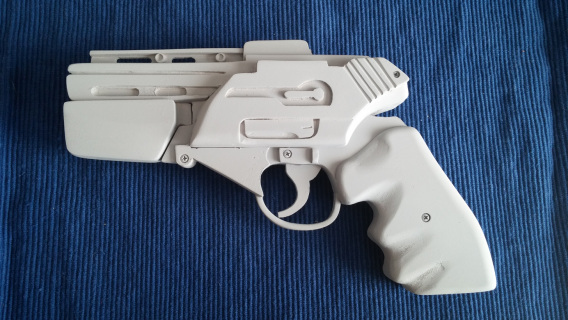 Photos are examples of a fully finished gun.